I would do this only as a very special exception and probably avoid it for Mirilstaren as a more representative Direnni fortress. The welkynd stones are ultimately P:Cs turf and I'd like to see it kept like that, honestly. What worsas said. I wouldn't mind a Direnni-exclusive opponent, like a number spirit created and bound by esoteric mathematics. Or Da Vinci like metal automatons powered by sun magic. The Direnni/Medici connection is somwthing that could be explored more. Always happy to see my work getting recognition But yeah, I agree with worsas and roerich on this, it would be better if Direnni has some unique equivalent of these if anything, even if they would be technically the same (remember the hunger statues in Shivering Isles, for example). Edit: And then alive bull statues as well of course, like D&D/M&M gorgonas. How about sunbeam "laser" emitters? Or would this be too high-tech-like? Unless something like Archimedes' heat ray? Created mostly by a creative usage of mirrors and lenses, and only collaterally thanks to magic? That's a similar vibe to Da Vinci-like technology roerich mentioned. berry wrote: Unless something like Archimedes' heat ray? Created mostly by a creative usage of mirrors and lenses, and only collaterally thanks to magic? That's a similar vibe to Da Vinci-like technology roerich mentioned. Yep! That's exactly what I had in mind. Ah, I see, that sounds cool then. I also thought an alchemical trap of some kind would be fitting for Direnni, but I only managed to come up with an idea of toxic fumes (and that seems 1) too cliche 2) too savage - I could imagine such trap in Ayleid dungeon again, but not really in Direnni ruin). Maybe some kind of an alchemical fire? Or Greek fire, if we want to keep the theme running. 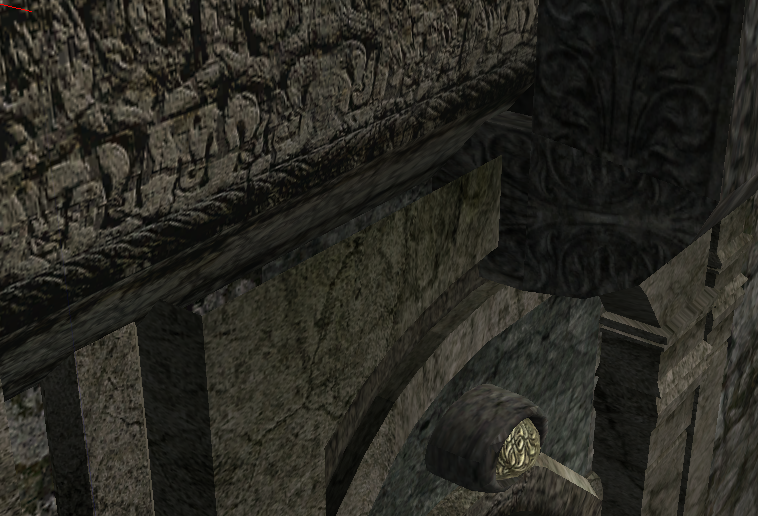 Not as seen in TES V, as flammable hanging urns, as that would be hard to implement with no object physics in Morrowind, but maybe as some spouts (gargoyles?) spewing fire? Still, I understand Direnni traps are of really low priority, just thinking out loudly, really. Direnni Door 02 and 03 have caspering within their own models can't post a screenshot because the website is saying: "The file is too big, maximum allowed size is 1 Bytes." 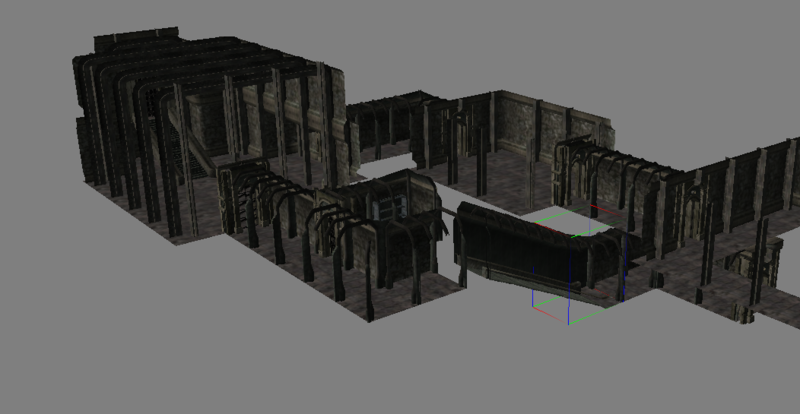 the second is showing that the stairway models cause problems when you try to connect multiple rooms together, since T_He_DngDirenni_I_StairsLow_01 has an extra half a hallway block length extra. For the time being you can put your gridsnap size to 32 instead of 64 in the Construction set editor settings. That will allow you do join the stairs with the rest. 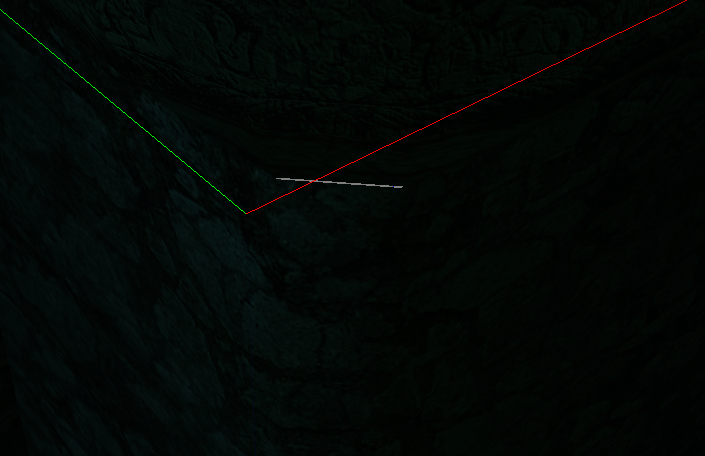 I found another bug, each of the T_He_DngDirenni_I_Wall_XX statics with curved corners (listed below) have the seam pictured below.